Young and looking for results. That description could be used for Canada’s Olympic swimming team – or its newly-announced head coach. Swimming Canada announced Wednesday that Ben Titley will be Canada’s head coach at the Rio 2016 Olympic Games, reprising his from the successful Toronto 2015 Pan Am Games. This will be Titley’s fourth Olympics, but first as part of a Canadian team. He was part of the British Swimming staff in 2004, 2008 and 2012, including women’s head coach at the Beijing 2008 Games. His swimmers include the top four 100-m freestylers at the recent Olympic & Para-swimming Trials. Breakout 15-year-old Penny Oleksiak set a world junior and Canadian record of 53.31 to join double Pan Am gold medallist Chantal Van Landeghem, Sandrine Mainville and Michelle Williams as Canada’s likely relay team, all Olympic rookies. Titley also guided national team stalwart Audrey Lacroix to qualifying for her third Games. With Lacroix and Oleksiak under his watch, Titley can claim coaching credit for both the oldest and youngest members of the team. 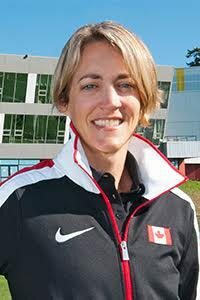 Supporting Titley’s efforts to lead the young squad will be two veteran team captains appointed after discussion with the Swimming Canada Athletes’ Council. Two-time Olympic medallist Ryan Cochrane and 2012 Olympic finalist Martha McCabe will assume those leadership roles. “Even after being on the national team for eight years I am still learning from swimmers around me, often from some of the youngest on the team. So although it is an absolute honour, I really just hope that each and every swimmer feels just as honoured and privileged to be on the Canadian Olympic swim team because many people would give up everything to have an opportunity like this,” McCabe added. “Both Ryan and Martha have great experience and are exceptionally professional in their approach,” added Swimming Canada High Performance Director John Atkinson, who will serve as Team Leader in Rio. “They will be great leaders for the athletes on the team.